The economic climate is tough to navigate in general, but when it comes to businesses with a niche market base, there are even more challenges to face. One major issue is marketing. Most traditional methods are based on advertising to mass audiences, which does not suit brands that service a niche client base only. Such specialist companies have largely come to accept that these kinds of difficulties come with the territory….…. ….… but what if there was a solution that could be fully customised to suit each organisation’s unique requirements and objectives? One that is both cost-effective and result-driven? Organisations that service a very small consumer market are known as “niche” brands. Their small market size could be as a result of a limited consumer demand for their business offering, for instance. A company that offers a highly specialised product or service is an example of such a niche brand. 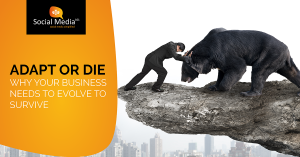 Most business-to-business (B2B) based organisations, as well, fall into this category. While marketing is important for all businesses, the small consumer bases that these companies service makes it even more crucial to connect to right audiences. Unfortunately, as mentioned above, most advertising methods focus on mass communication to a generalised audience. As only a small percentage of message recipients are relevant to a niche company, the result is excessive wastage of investment and low returns. Other more targeted options are print ads in industry-specific publications or exhibition stands at trade shows. However, these techniques are expensive and yield poor results. Not to mention they grow increasingly outdated as market trends progress. 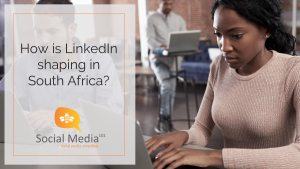 At this point, you may be thinking, “why the big build-up – everyone knows about social media”. BUT, do you, as a niche brand, fully understand what this type of media offers you? Let us explain why we are so excited about the capabilities of social media when it comes to niche brands. 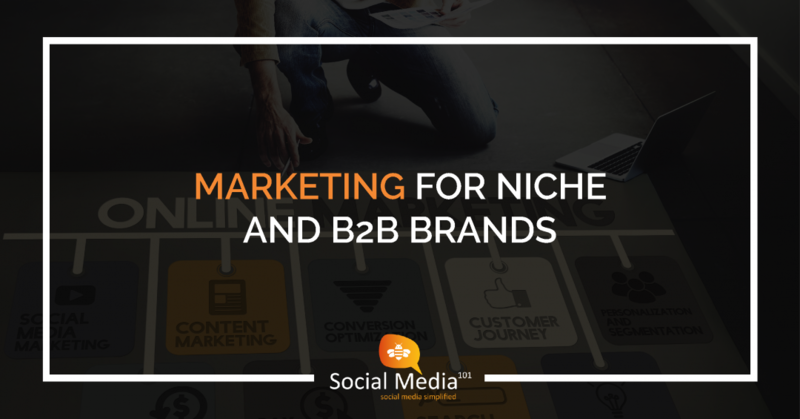 Arguable, niche brands have the most to gain by transitioning from solely traditional media to social media marketing. This is because such brands experience the most wastage when using mass promotional methods (versus more mainstream brands). The highly customisable nature of social media allows you to substantially reduce wastage, and therefore increase return on investment. But it’s not just a financially beneficial option – it opens up a wealth of information, insight and audience tools that promote overall business growth. Social media offers highly customisable options – meaning that niche companies are able to tailor functions to suit their needs. This relates to a range of factors, including: targeting different audience segments, options regarding spend per message, control over campaign duration and growing a client base. Targeting on social media supports detailed, multi-level criteria that can be used to streamline audiences. For example, you can specify geographic regions, then restrict to an age group within these areas and further target based on specific interest (such as a sport or activity). The result is a high quality, custom target group. If you have different audiences within your market, you are able to customised messaging to suit each group. Let’s say your business sells to both end-user customers as well as other businesses. You can advertise a product to B2B clients with technical info and specs, and then promote the same product to consumers with details of where they can purchase. With a niche market, customer engagement is even more important. These client bases are minority groups sharing something in common, and therefore they relate to each other more in comparison to mass market bases. Common ground could be due to shared interests, knowledge, experience or business activity. 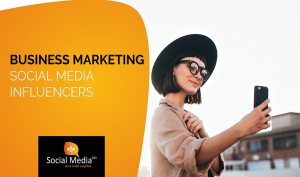 Social media allows you to connect with relevant people and tap into their expertise and experience to improve your business. It also gives fans a way to connect to people they relate to, providing an enhanced customer experience. Paid advertising on platforms like Facebook is based on actual message exposure (as opposed to traditional media platforms that cannot provide data in terms of views). This means you only pay for content that appears on a user’s news feed. In addition to the financial benefits, this provides a realistic indication of your online market size based on audience response. Some sales are considered high-involvement purchases. This could be due to their pricing or complicated application. Social media campaigns provide a way to market these. For instance, educating the audience on functions and benefits first, and thereafter driving sales. Again, this is a great approach for B2B or technical products. Social media platforms are also a viable and practical way to generate leads for your technical sales team. Social media is an inexpensive, effective method that provides high returns and measurable results. In a niche market, a well planned and executed platform could give you a competitive edge based on customer loyalty, as well as allow you to tap into new markets. It is definitely a winning option for B2B and niche-based brands.